With the BaselWorld doors now shut again for another 12 months, we can reflect on the premier event in the luxury watch calendar and cast our eye over some of the best watches to have emerged from BaselWorld 2013. As is always the case with the event, the industry’s biggest and brightest turned out in force to exhibit their finest timepieces that they have got in store over the next twelve months or so and all those in attendance were definitely not disappointed and most left with their jaws dragging along the floor such was the quality of the watches on offer from the likes of TAG Heuer, Breitling, Rolex and Hublot. BaselWorld 2013 was an immensely luxurious affair and boasted plenty of celebrity guests who were showing their support for the various different luxury watch brands in attendance at this year’s event. Possibly the most impressive of these celebrity guests was that of a certain Felix Baumgartner – the Austrian daredevil who, at the tail end of 2012, broke all sorts of records when he became the first man to jump from the atmosphere and broke the sound barrier in the process. 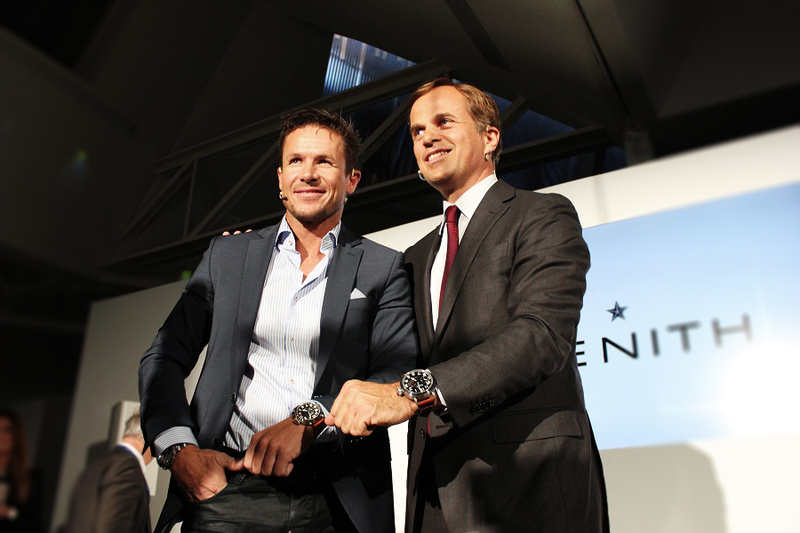 He attended the event in his role as brand ambassador for the Zenith brand of luxury watches and he was on hand to showcase not only the Swiss watchmaker’s new line of timepieces but also the actual Zenith Pilot watch that Baumgartner wore during his descent to earth last year (pictured below). 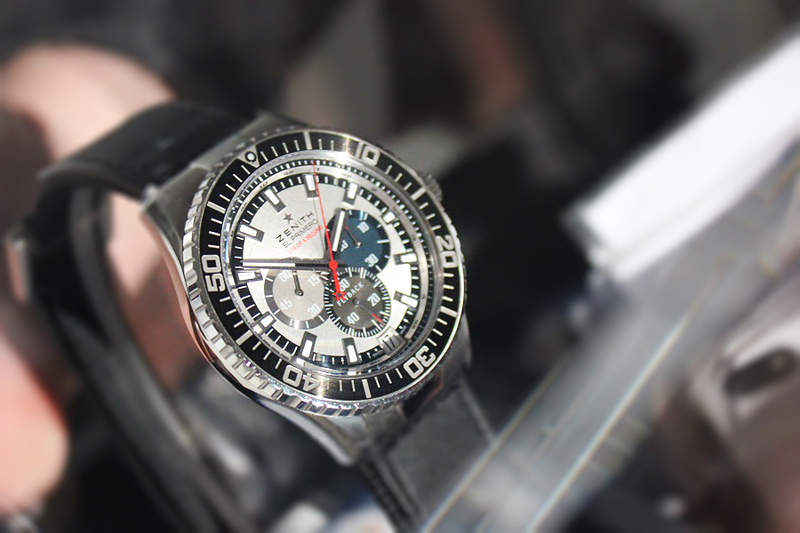 Baumgartner was one of the biggest draws on the first day of the BaselWorld event and he did a pretty great job of creating a buzz about their new range of Zenith Pilot watches on their stall at BaselWorld 2013. Zenith were unquestionably one of the stand-out performers at this year’s event and this was down in no small part to the Austrian daredevil who drummed up plenty of attention in their stand. 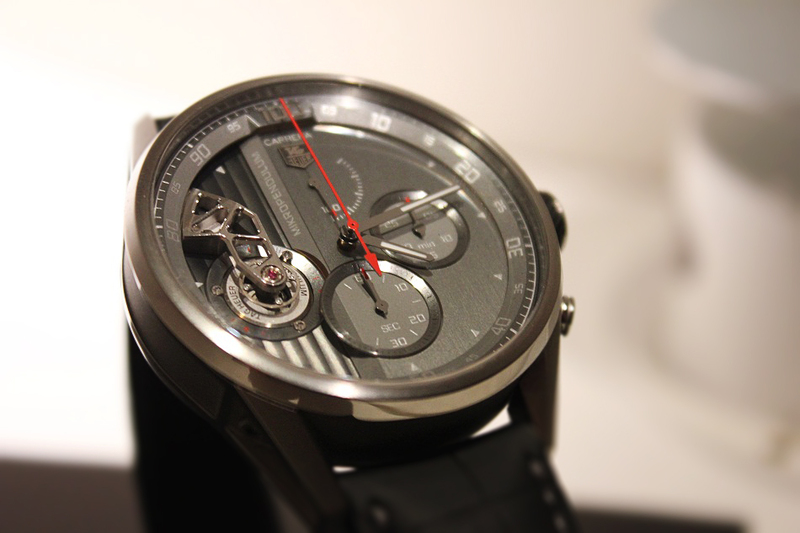 Zenith is one of the world’s leading watchmakers and they definitely put in a strong performance at BaselWorld 2013. With so many fantastic watches showcased at BaselWorld 2013, it’s difficult to narrow one’s selection down to a mere three but we’ve given it a good go – take a look at JOSHUA’s pick of the top 3 timepieces from BaselWorld. Possibly the biggest show-stopper at BaselWorld 2013 was that of the Hublot Masterpiece MP-05 LaFerrari timepiece pictured above which the Swiss watchmakers unveiled to a mesmerised audience of horology fans. The spectacular timepiece which celebrates Hublot’s collaboration with the Italian car makers, Ferrari, bought the house down and there were few other timepieces that could hold a candle to it in the luxury stakes. 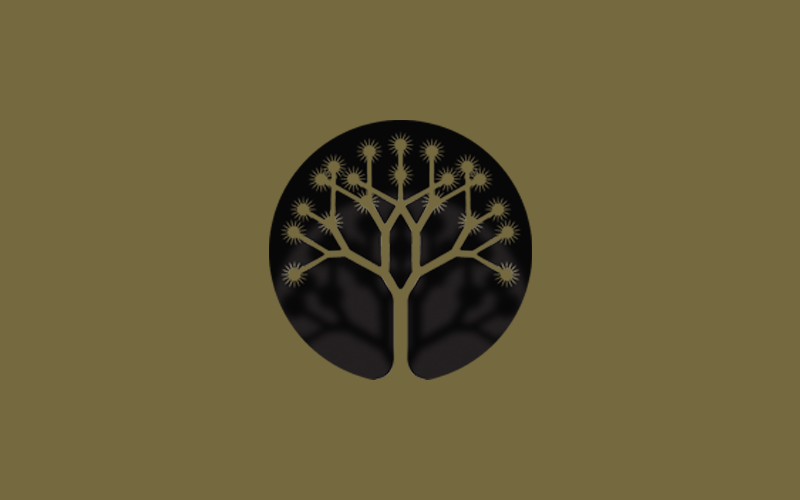 You can see this exclusive watch in motion courtesy of with The Watch Gallery below. 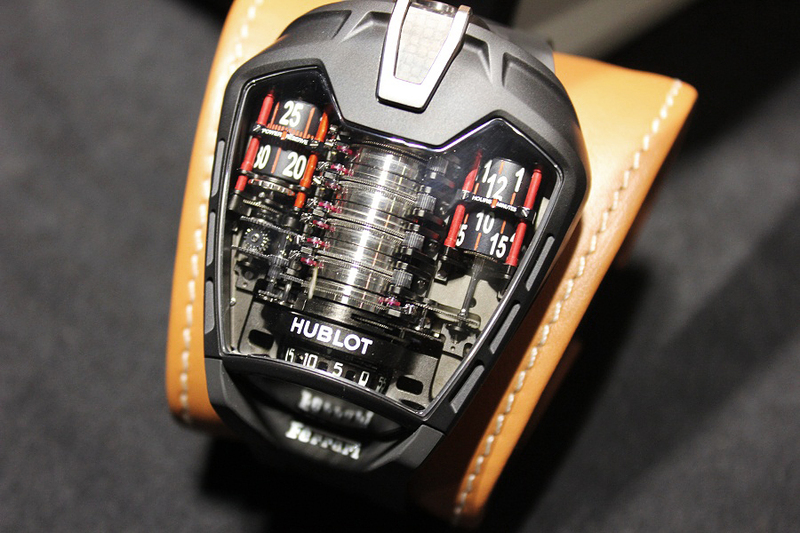 A spectacular timepiece from luxury specialists Hublot – perfect way to start BaselWorld 2013. View more Hublot watches here. TAG Heuer are one of the most celebrated names in the world of horology and it goes without saying that excitement is always high when they release a new breed of timepiece onto the market. It turns out this excitement is well justified because the Swiss watchmakers wowed the BaselWorld audience with the utterly spectacular TAG Heuer MikroPendulum timepiece (pictured above). An astounding feat of engineering, this exemplary watch truly showcases why TAG Heuer has enjoyed such a long and successful history at the very top of the horology industry. Boasting many impressive features that set it apart from the crowd including a dual-chain automatic movement, pendulum tourbillon and rose gold bridge, it’s little wonder that interest was so high in this exceptional timepiece at BaselWorld 2013. See more TAG Heuer watches here. 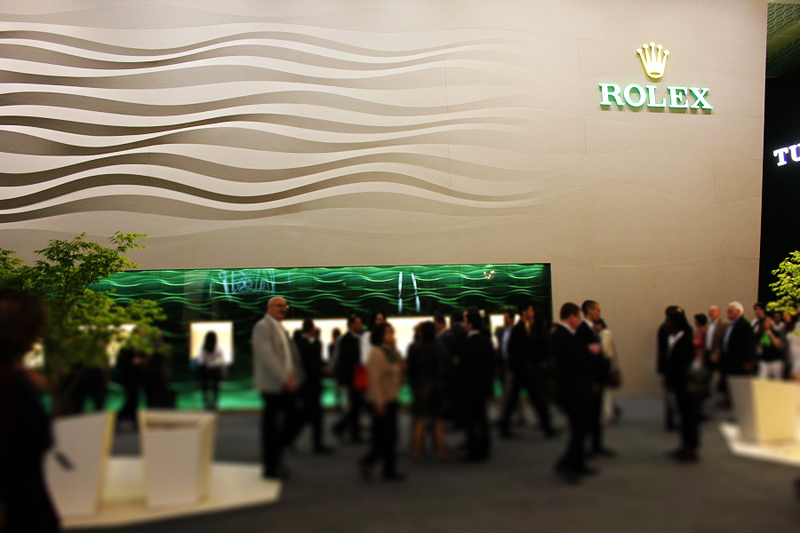 Rolex are, of course, the world’s most prestigious watchmaker and their stall at the event is invariably standing room only and this continued to be the case at BaselWorld 2013 courtesy of the range of extraordinary timepieces that they unveiled. Perhaps the most impressive of these timepieces was that of the Rolex 50th Anniversary Daytona Platinum watch pictured above which really stole the show so far as Rolex was concerned. 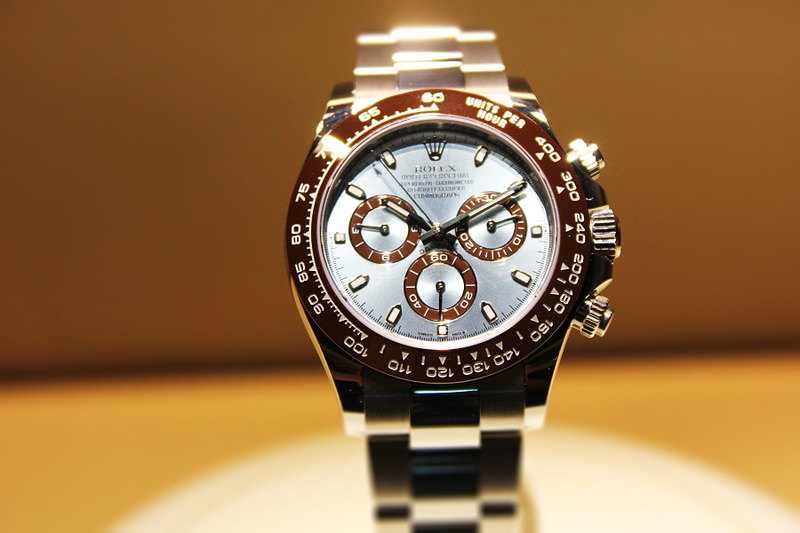 This wonderfully crafted timepiece is somewhat of a rarity because it is the first time that Rolex have released a timepiece from their Daytona collection in platinum and, it’s fair to say, it has definitely been worth the wait. It doesn’t, as you perhaps expect, come cheaply, however, as you can expect to pay in excess of £50,000 to get your hands on one of these Rolex 50th Anniversary Daytona Platinum watches. But, as with all Rolex timepieces, it is likely to be a shrewd investment indeed. See more Rolex timepieces here.